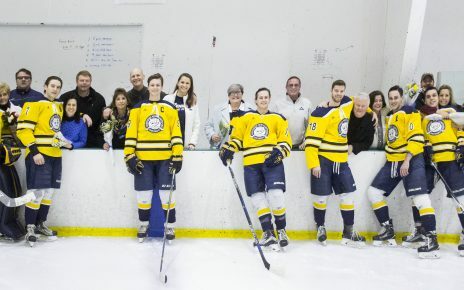 Senior Rianna Fasanello (E. Bridgewater, Mass.) 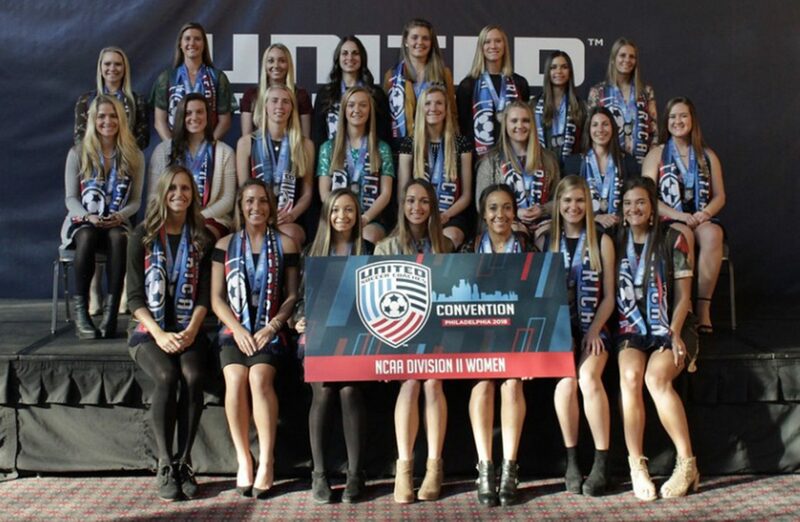 of the Southern New Hampshire University women’s soccer team officially received her United Soccer Coaches All-America Second Team award on January 20 at the All-America Luncheon, as part of the 71st annual United Soccer Coaches Convention at the Pennsylvania Convention Center in Philadelphia, Pa. The All-America Luncheon program featured a graduation-style presentation of the award winners on stage. Players were introduced, crossed the stage and were congratulated by soccer celebrities before posing for a photo. Stuart Sharp, head coach of the U.S. Paralympic National Team, and players from the team, accepted the prestigious United Soccer Coaches Honorary All-America Award at the event, with Major League Soccer and National Women’s Soccer League players also making an appearance at the luncheon to congratulate the All-America players and their families. Fasanello became the first Penmen All-American since current assistant coach Ariel Teixeira earned the honor in 2011. 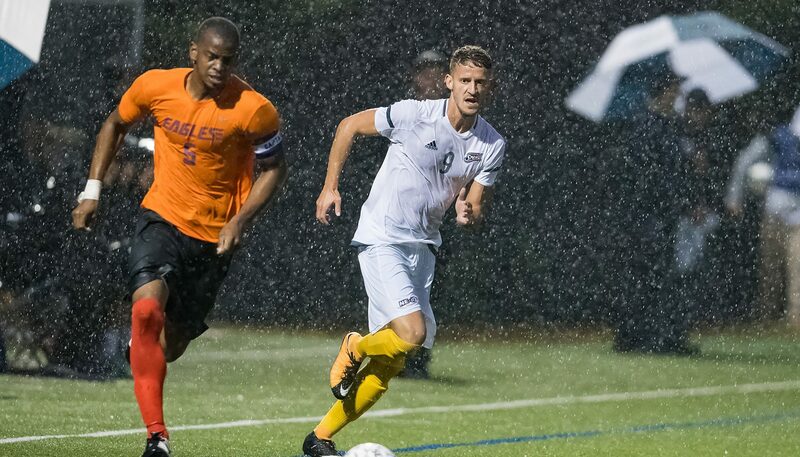 The All-America honor was the crowing achievement of the season for Fasanello, who was also a United Soccer Coaches and Division II Conference Commissioners Association (D2CCA) East All-Region First Team selection, Northeast-10 Defensive Player of the Year, and Northeast-10 All-Conference First Team pick. 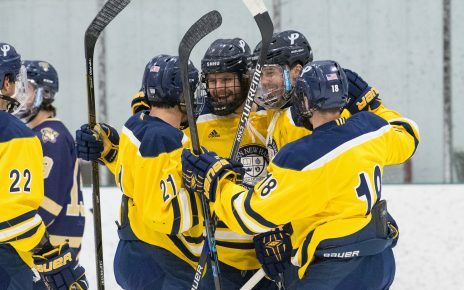 Fasanello started all 23 matches and anchored a stingy Penmen back line that gave up a league-low 15 goals on the year and paced the conference in goals-against average (0.62). Fasanello, who was named the NE10 Defensive Player of the Week a conference-best three times this season, also registered two points on a goal – the first of her career that helped Southern New Hampshire edge Assumption College, 1-0, Oct. 17 and also earn her recognition on ESPN SportsCenter’s Top 10 Plays with the No. 4 play of the night.